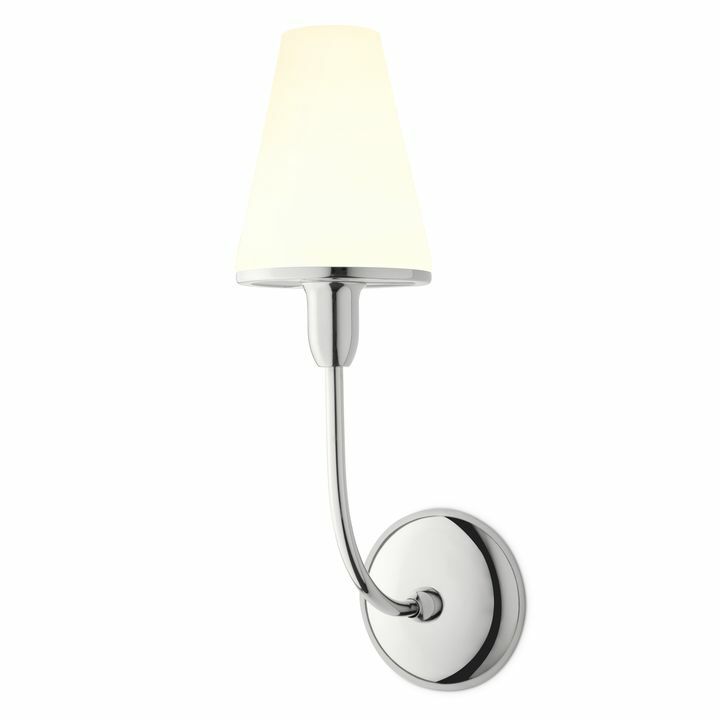 There are only 69 available of the Arden Wall Sconce with Opal Glass Shade, Polished Nickel. Your selected quantity has been adjusted. 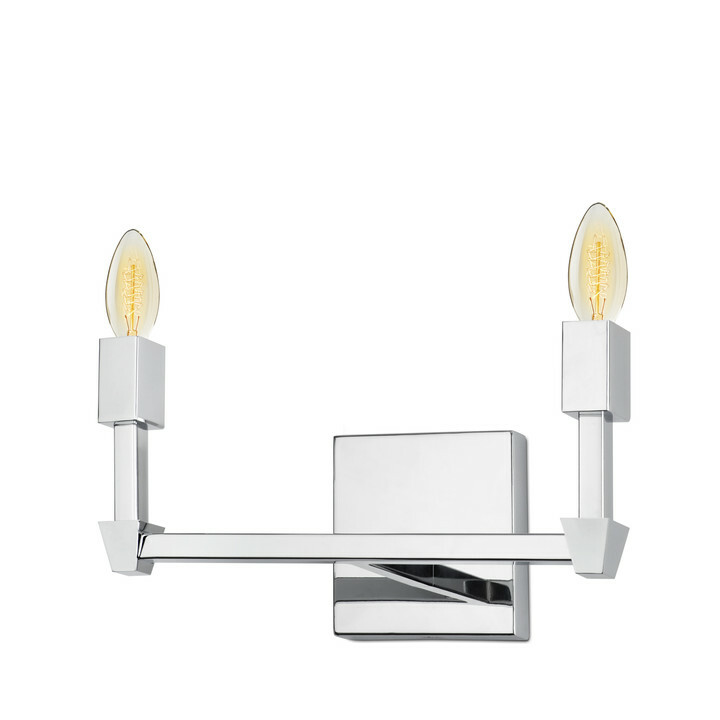 The Arden Sconce is our contemporary approach to elemental, clean design. 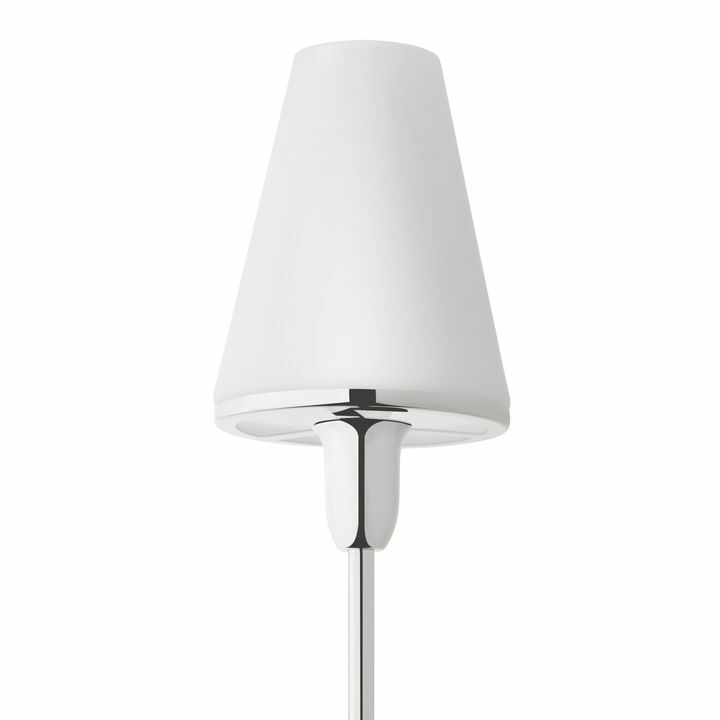 Its simple silhouette highlights an opal glass shade with matching metal trim, supported by an elegantly curved neck and circular back plate in a smooth, modern polished nickel finish. 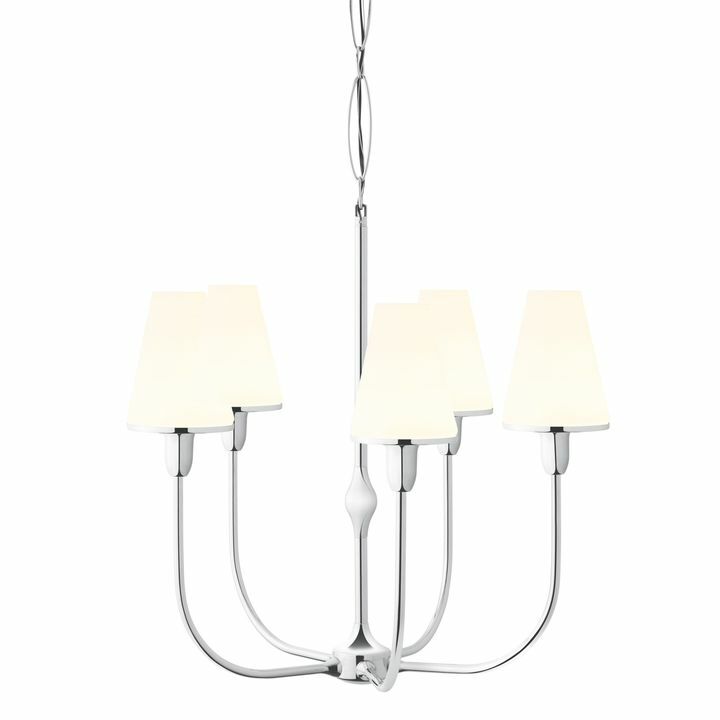 Ideal in pairs; add ambient, yet direct light by flanking a couch, a fireplace, a favorite painting or a mirror. The light is just what was expected. The scale, the shape, and the quality all look and feel great. 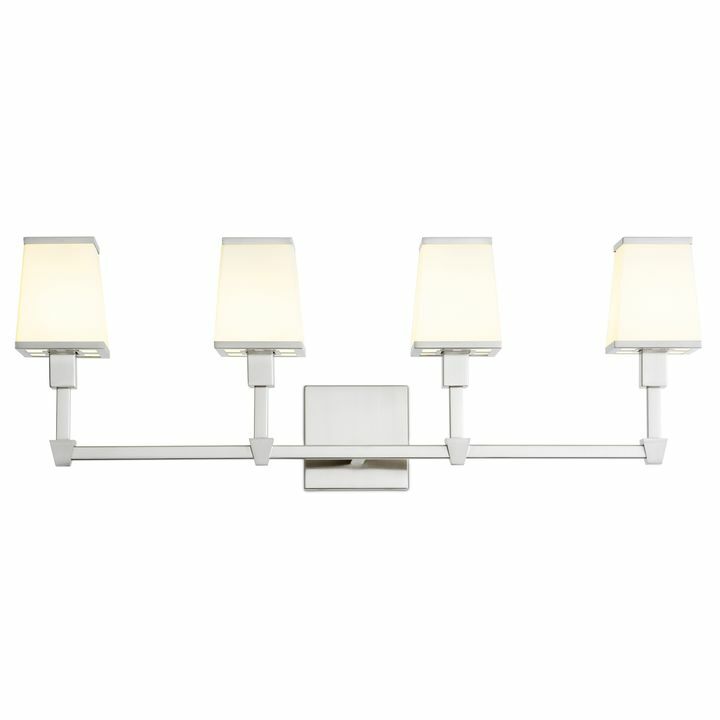 Although we havenвЂ™t installed them yet, weвЂ™re sure they are going to look great in our new half bath. 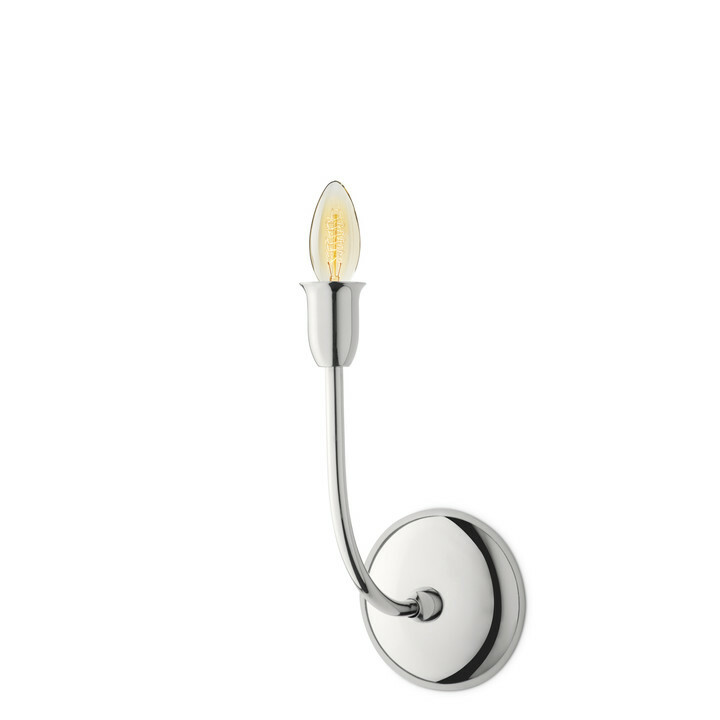 My dimmer isn't on your list. Do i need to uninstall it and buy a different one or will it be ok? 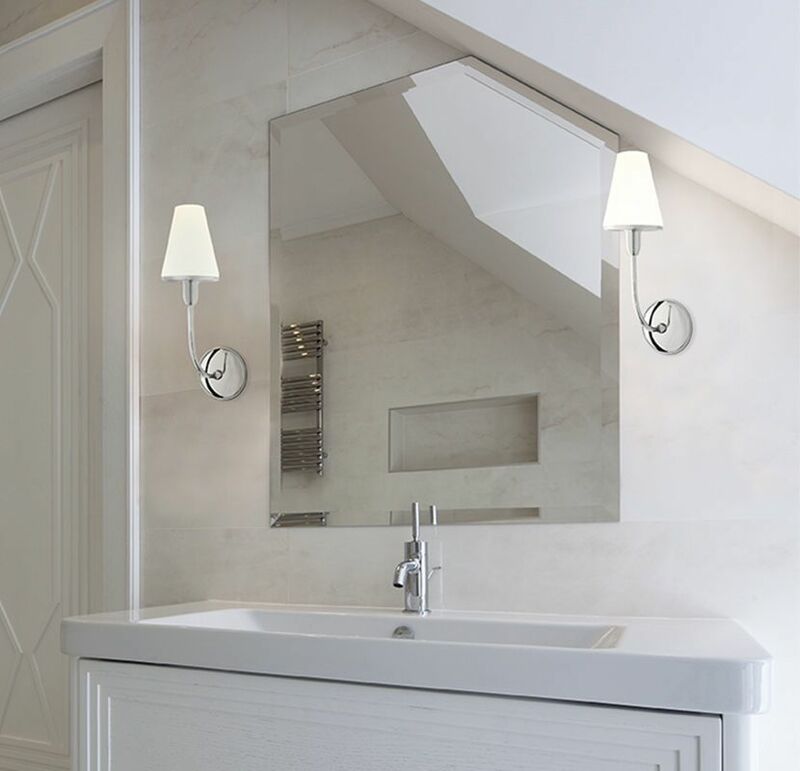 The dimmers that appear on the Product Specifications tab have been tested to be sure they will work with our products, but that doesn't mean your dimmer won't work with the Arden Wall Sconce. We just haven't tested it to be sure. 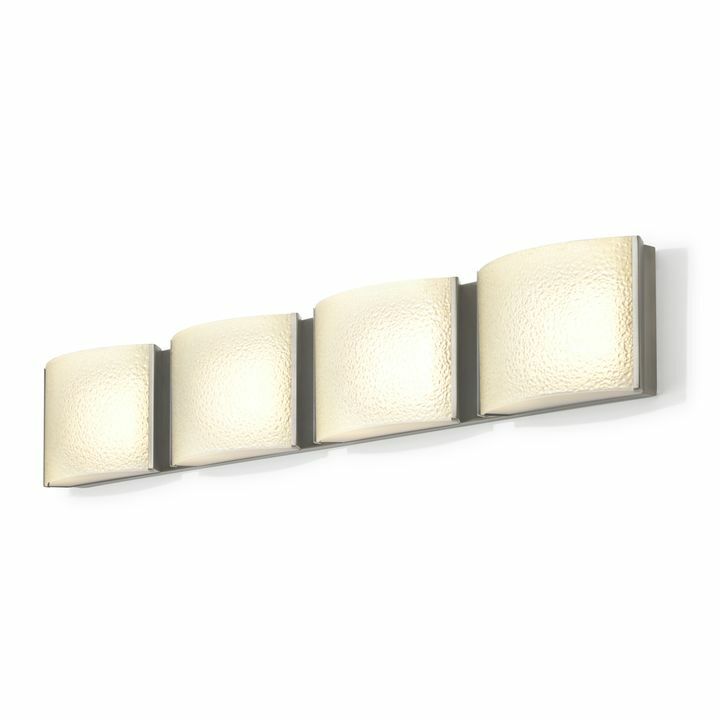 For more information on dimmers, check out this Lighting 101 article. Are these ok to put outside on a covered porch? 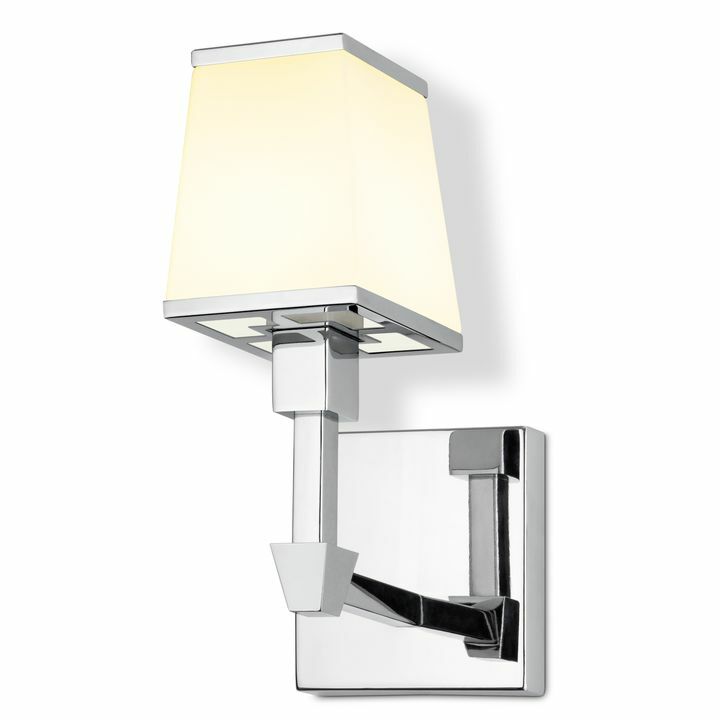 The Arden Wall Sconces are rated as damp-located, so they are designed to stay inside. 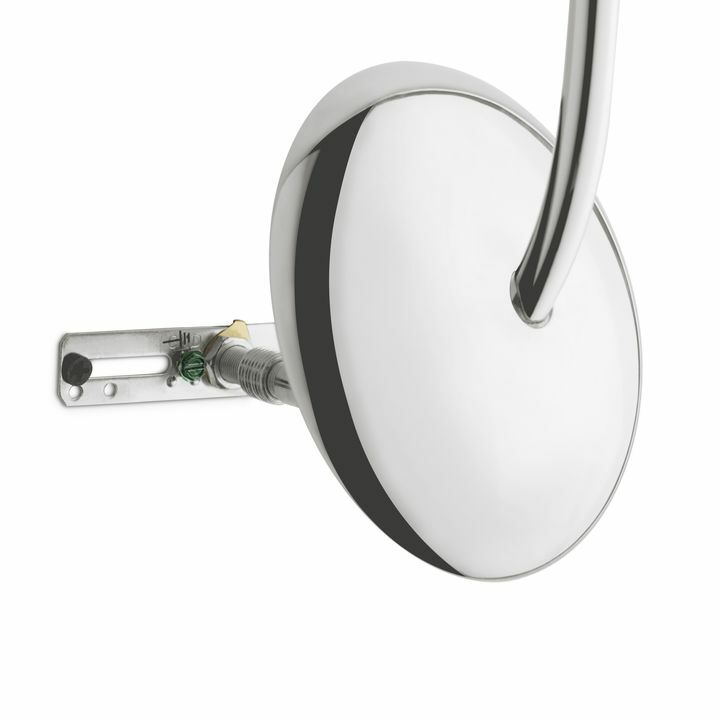 Some customers have made modifications to put similar lights outside, but we can't recommend that- it voids the warranty and we're not sure how the finish would hold up. Can I take the shades down to clean? The shades can easily be taken off the wall sconce for cleaning. 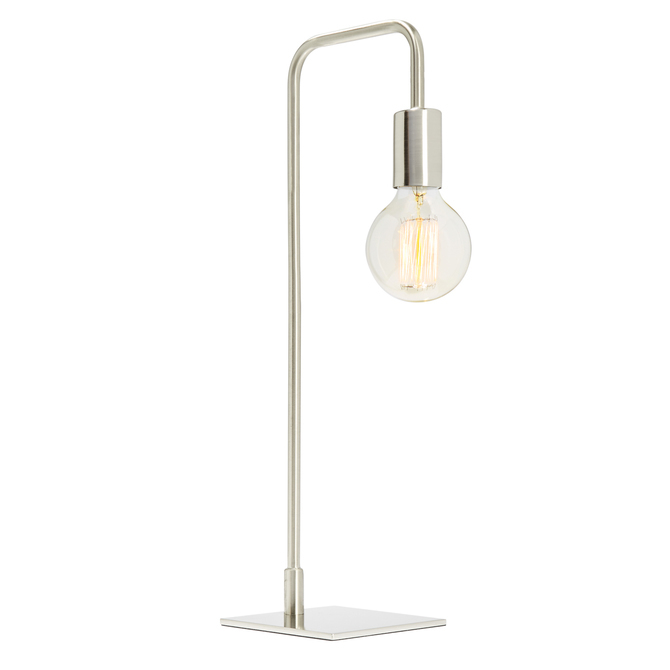 You'll need to unscrew the bulb before doing so- check out the manual on this page's Product Specifications tab for a preview. 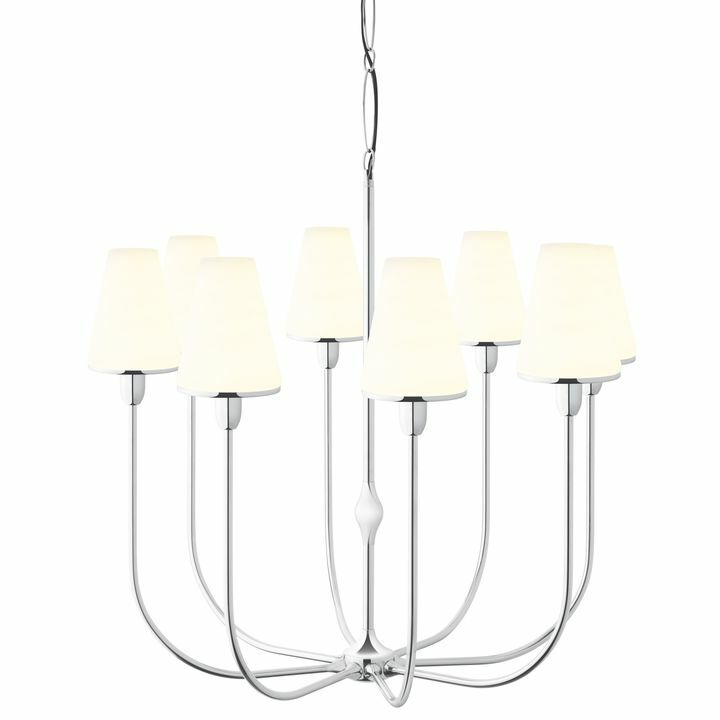 The brightness is going to depend on the bulbs you choose. 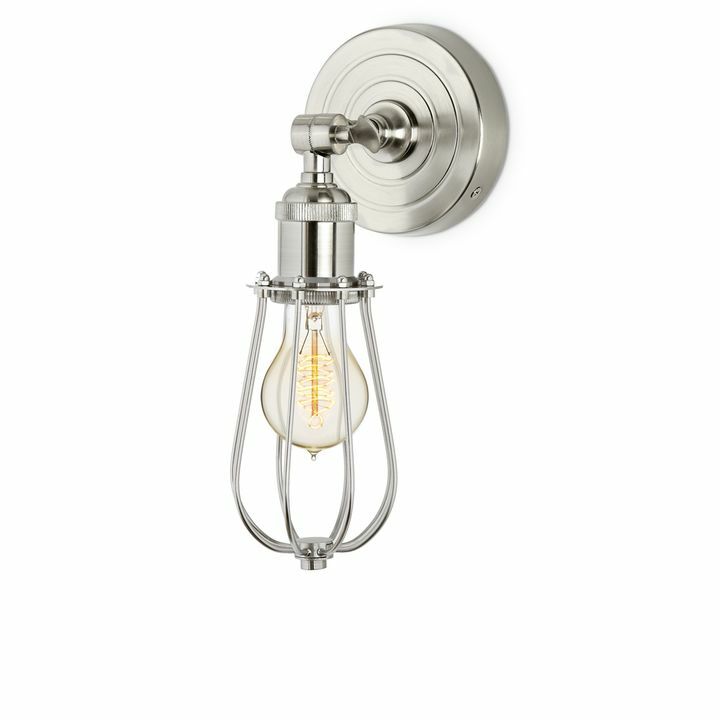 Bulbs are sold separately, and you'll want to decide what kind of bulb based on where you're going to use the wall sconce and how bright you like the light in that room. 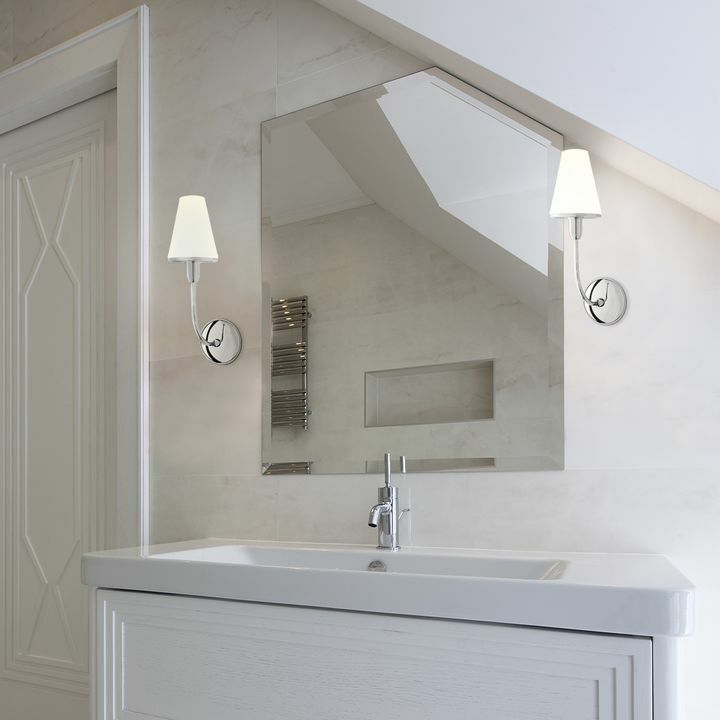 For example, a sconce installed in a bathroom would have a brighter bulb than one installed in a hallway. 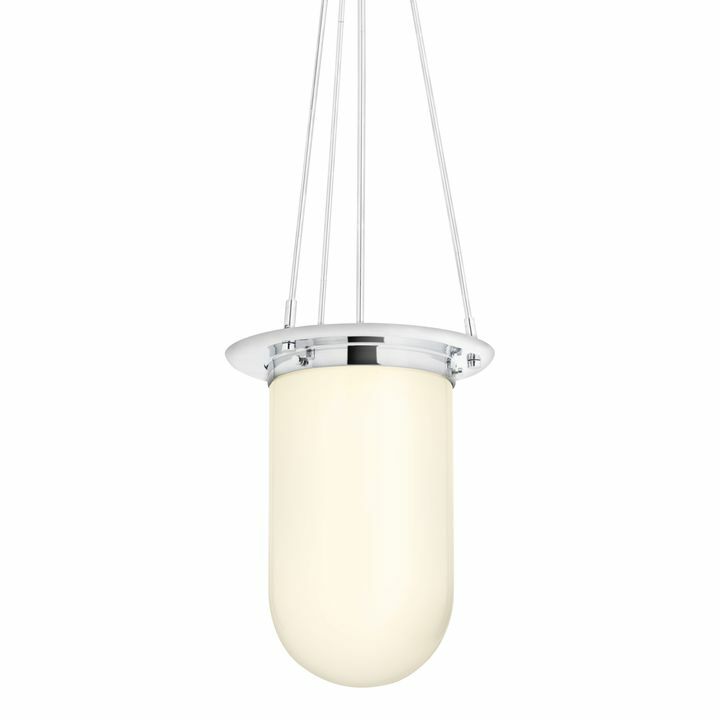 For more information on how to choose a bulb, check out this Lighting 101 article. 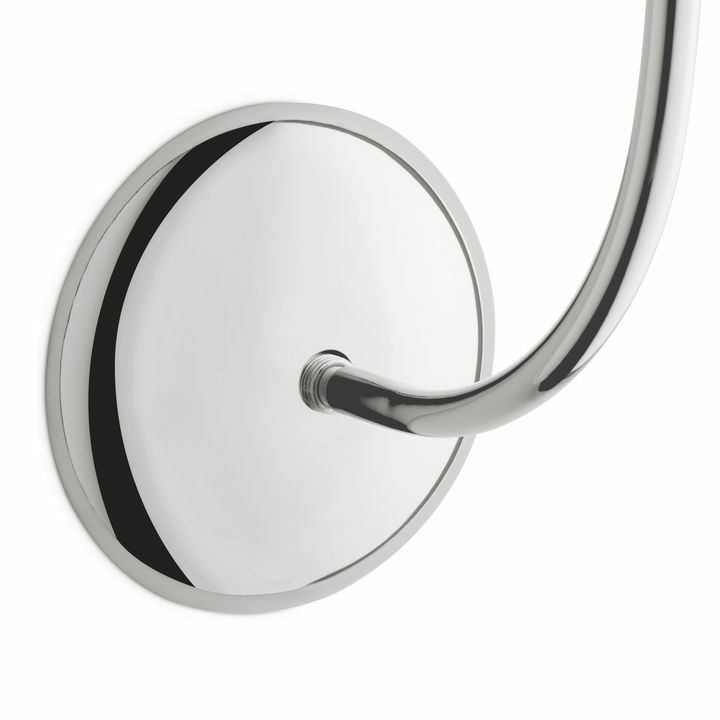 Can this be installed in a bathroom? 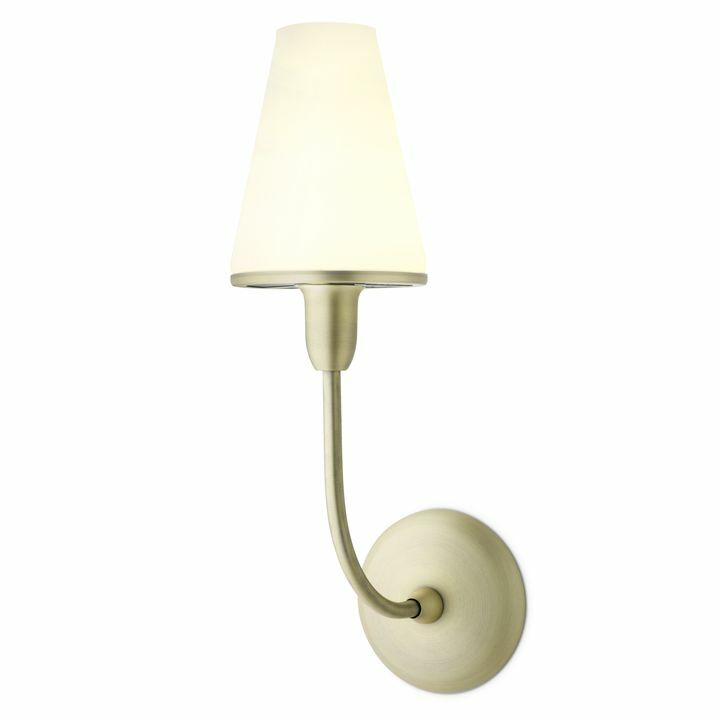 The Arden Wall Sconce is rated as "damp located". 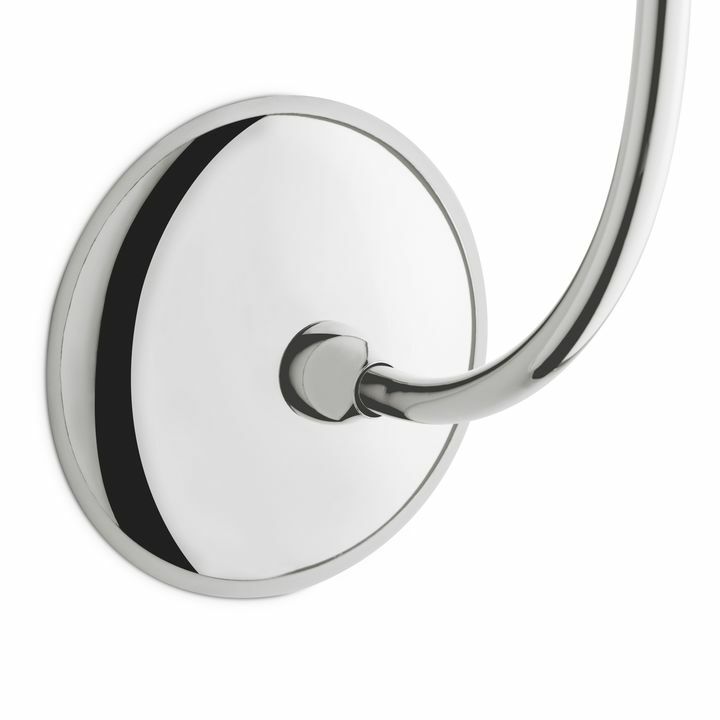 That rating means that it's ok to install in rooms that can be damp, like your bathroom or a powder room.